Your adventure puts you in the role of Pierce, a private investigator sent to the infamous Darkwater Island to solve the mystery surrounding the death of the Hawkins family. While many may see the term RPG (short for role playing game) and think of lots of stats, items, and quests this is instead a more literal form of the genre. This is a video game representation of largely what you can expect from a more traditional pen and paper style game, complete with your decisions being the key factor in what happens. If you’re a stickler for systems, details, and understanding just what the game code is doing – especially in an attempt to min/max your playthrough – you will get frustrated with Call of Cthulhu because it simply isn’t designed like that. Most common game mechanics like experience points, combat, collectibles, or even an open world are absent here. You are dropped into smaller areas along your journey that you are free to play around in as you like but moving on to your next objective will net a new area with no way to go back. So while the progress is linear, and you’re being led along a path just like you would in a traditional RPG, your exploration is limited only by your own decisions. To widen your interaction with the environment, Pierce is equipped with a handful of abilities that you can build up with points you receive at certain moments. I couldn’t quite figure out the criteria, but it seemed that discovering clues or items off a beaten path, having certain conversations that are clue dependent, or completing areas can all be sources of these points. With them you can increase these abilities like picking locks, navigating conversation, noticing hidden items, and a handful of others. I didn’t have to rely on these abilities all that much and simply used them along the way to enhance my characters choices and not worrying too much about how I was doing so. This is also why what you do in the game will vary, but for the most part you will explore environments, engage in dialogue, solve puzzles, and on occasion have to sneak around to avoid danger. 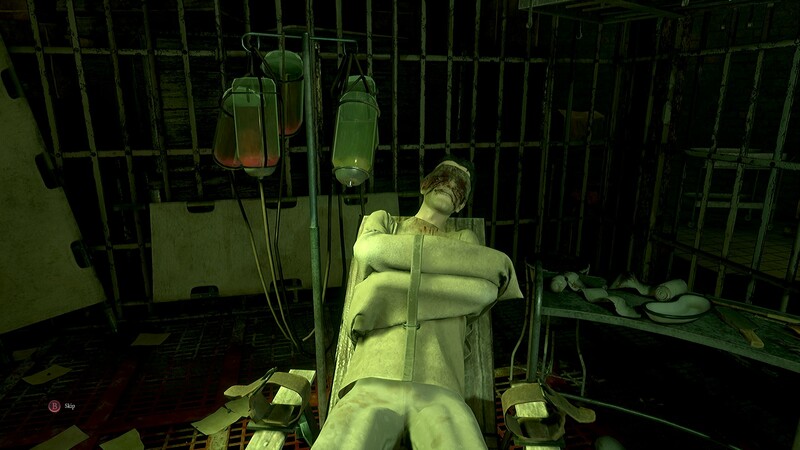 I know Cyanide gained notoriety for its work on the stealth-based Styx games, and I have yet to play either game, but what I saw in Call of Cthulhu didn’t strike me as very stealthy nor were these segments that well designed. People can see you with ease, they move faster than you, and once caught it’s basically a fail state. This results in a mix of both mild boredom and frustration, but thankfully these sections are few and far between. In fact, later in the game the developer breaks its own rule set, which I can see one dismissing as a clever turn of events common in a Lovecraft story, but it seemed more as a crutch because the testers weren’t satisfied with a scenario. So in short, as a video it game it doesn’t have anything particularly new or compelling, but as an experience it is a unique attempt to capture a traditional RPG campaign in a self-guided form. Despite the gaming setbacks, you probably came to this title looking for a horror story chock full of atmosphere, and in this Call of Cthulhu excels. The aesthetics are in high detail and really bring the world of Darkwater Island to life, but in true Lovecraft fashion we are hardly getting beautiful scenery. People have noticeable scars, flush features, and ugly faces as the harsh environment takes its tole on the dwindling island. The pier, for example, is not the source of bright blue waters, sunny docks, and flourishing fisherman but rather somber drunks, broken ships, and black waters that ominously suggest monsters of the deep below. You’ll often come to areas where you’re faced with horrifying events that are visceral to say the least. 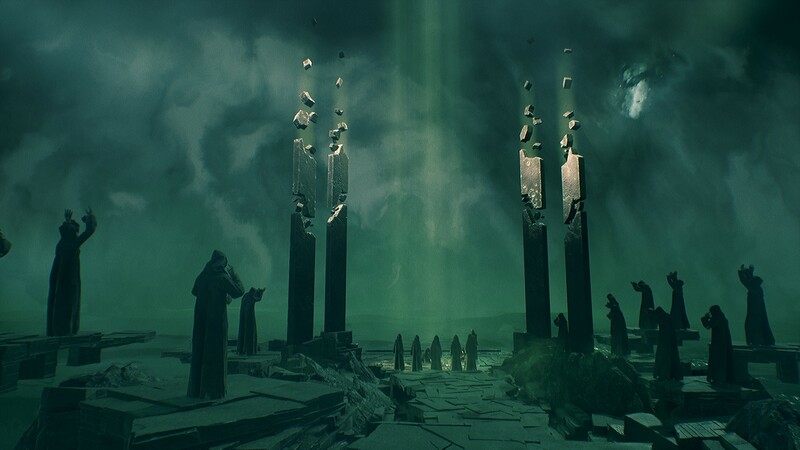 Whether its recently gutted fish, the cold basement of an asylum, or sacrificial chamber every location is given an aesthetic treatment that brings this world to life. Along with that the sound design assists in guiding the journey with strong voice acting, spot-on sound effects, and an ambient soundtrack that can alert of safety or danger. Keeping everything together is the writing, which is the carrot on the stick for any gripes you may have along the way. It’s common to get a bit lost in the overall plot of the story and it wouldn’t surprise me if some miss the discovery of a big reveal here or there. It’s been my experience with Lovecraft’s writing that you’re not always going to know exactly what is going on or why, not to mention the possibility that you’re dealing with an unreliable narrator. One may ask, “is this really happening or is my perspective skew from the eyes of a troubled mind that tells the tale?” Not finding certain clues, books, or items may also result in you coming across situations or written characters that you don’t understand, but may be forced to make decisions with anyway. Like with the gameplay mechanics, those of you who are sticklers for information will probably get frustrated with this, but as a person who just goes with the flow I made uninformed decisions and suffered those consequences. On that note, this game purports to change with certain actions or decisions and this is clearly communicated with a notice that the world has changed after performing such a task. 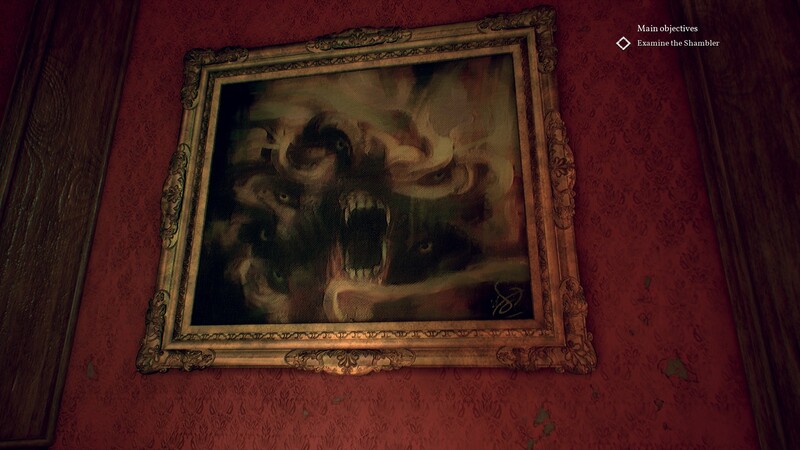 Some players found this to be a nuisance in titles like The Walking Dead that gave an indication of this shift, and it’s very noticeable in Call of Cthulhu because the game rarely has on-screen graphics during normal gameplay, but I didn’t really mind being told when I did something that changed the world. In terms of the changes, only replaying the game will indicate how important they are, but I suspect it’s much more subtle changes to the environments and dialogue options rather than a drastic shift and I’m almost certain your ending isn’t a culmination of your decisions. Yes there are multiple endings and yes you can reload your last checkpoint after completing the game to see others, but I don’t know that every person who gets to the end will have every option available. I’m almost certain that I didn’t, actually. Curiosity of the different endings aside, I completed the game having experienced an appropriate arc based on the character I played and had no interest in re-writing the past to tweak my way into changes. There is one elephant in the room that cannot be avoided about Call of Cthulhu: value proposition. I’m definitely not a stickler for how many hours a game is, what a company should be charging, and I shake my head at the hours per dollar ratio. That said, this title doesn’t live in a vacuum. 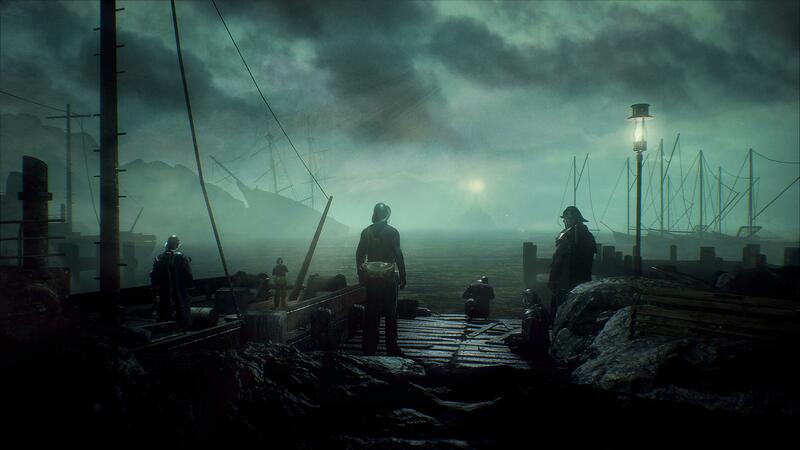 Call of Cthulhu will take most players roughly 8-10 hours to complete with a replay value that mirrors the replay value of, say, a specific Dungeons & Dragons campaign – cool if you want to run through again but some will be satisfied with a single go. This is a full price retail game on consoles with the Steam release receiving a discount, so it may be hard to justify when the likes this season’s biggest releases are sitting there at the same price point. That’s not to say it isn’t worth it, Call of Cthulhu is unique and games have gotten far too long with too much padding, but it’s hard to argue with people who can only afford one title this season. Lovecraft is a buzz word on the lips of horror enthusiasts and dare I say many people probably haven’t even read his most famous, but definitely not strongest, work entitled Call of Cthulhu. This is a refreshing attempt at yet again bringing a concept and game that are best served in other media to video game form. While it stumbles along the way and perhaps has a limited audience, there’s no doubt that Cyanide’s Call of Cthulhu is a unique perspective and succeeds in many places where those before it failed. With an overlying horror theme that had me creeped out, on edge, and even once vocally letting out a shout, it was perfect for this time of year. Focus Home Interactive has really piqued my interest with titles like Dontnod’s Vampyr, Big Bad Wolf’s The Council, and now this title. All of these games have their notable faults, but in the interest of breaking the mold these titles also keep my attention in a time where it feels like everything from a big budget studio is the same game with a new outfit on. A review code on PC was provided by the publisher. Call of Cthulhu is available on Playstation 4 and Xbox One for $59.99 as well as PC (Steam) for $44.99.